The Owen Marshall Website. Resources for students and teachers. 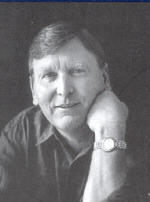 Owen Marshall is one of New Zealand's leading fiction writers. currently writing in New Zealand"
"New Zealand's best prose writer"
"I'm an admirer of Owen Marshall's literature, with my favourite stories, chapters, etc"
the near perfection of his writing"